delay/line was commissioned for Anne La Berge by the Barlow Endowment. With a simple glissing flute line and one delayed version of the same flute, this piece explores psychoacoustic phenomena across the rage of the flute. This recording must be listened to through speakers. Over headphones, it really doesn't work. delay/line was commissioned by the Barlow Endowment for the amazing Anne La Berge. 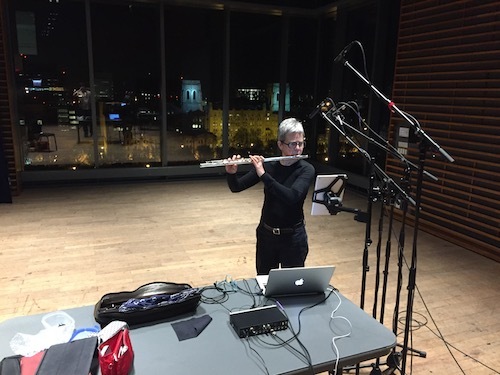 This piece explores psychoacoustic phenomena that occur over the range of the flute, employing a simple delay line as its only electronic process. The following recording should only be listened to over speakers. It will not work in headphones.